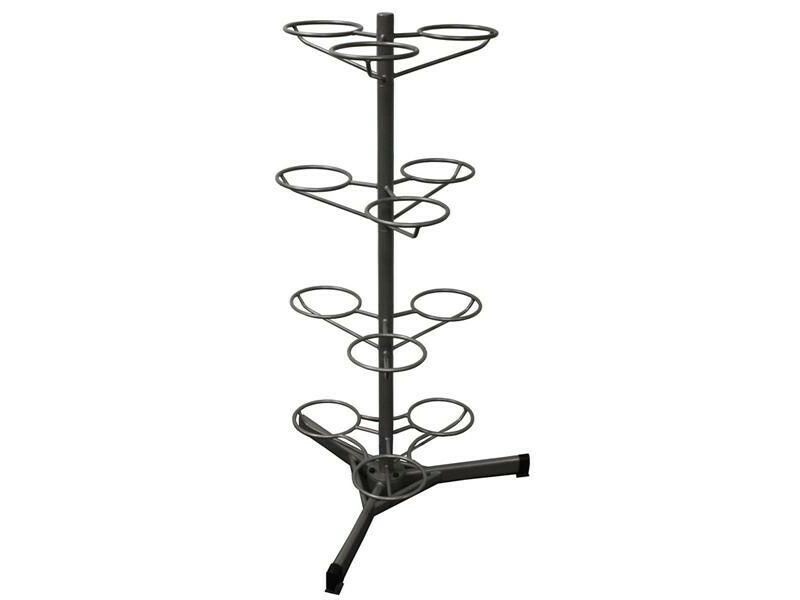 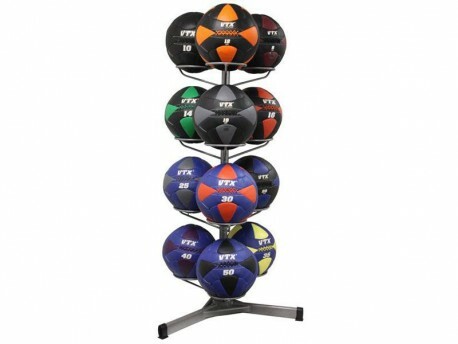 Unlike other medicine ball racks, this unique rack can hold any size or type of medicine balls. 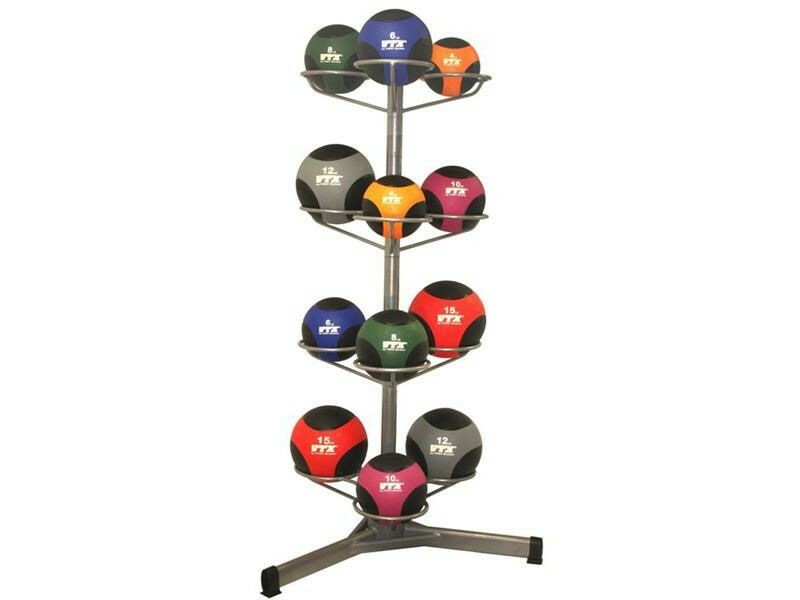 The spacing between each shelf is enough for 14"+ wall balls, and the circle holders are small enough for even the little 7" rubber med balls. 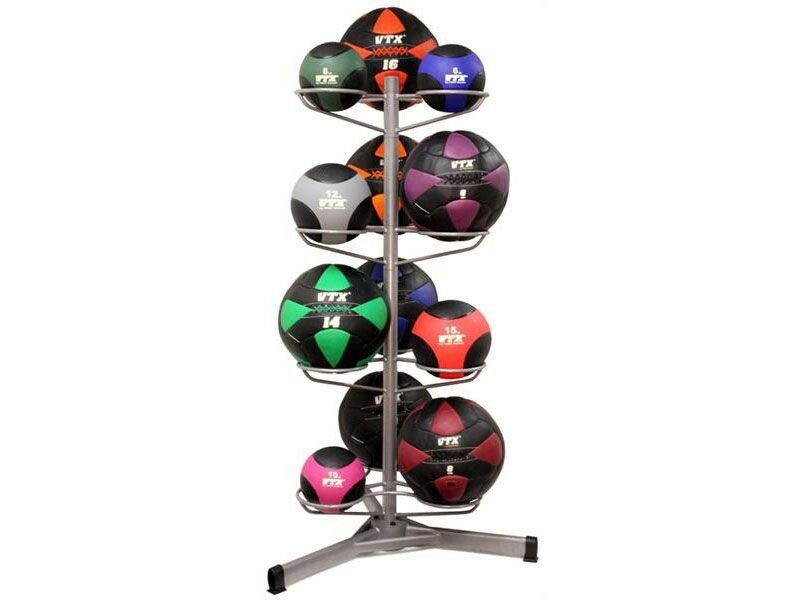 We have some other options for medicine ball storage and holders too, but this rack is the most versatile. Fits any size medicine balls - bouncing, slam, or wall balls!